As 2018 draws to a close, it’s safe to say that my office is still as busy as ever and showing no sign of slowing. My team and I have had a busy month delivering letters, surveys and leaflets to residents right across the constituency - updating constituents on what I’ve been up to and asking what their priorities are for the year ahead, both locally and nationally. My office receives hundreds of cases each month and October was no exception. In the last month alone, over 500 cases were opened, around 600 existing cases were resolved, and 2,000 emails were sent out from my office. The cases that come through my office cover a diverse range of issues, but the most frequent casework themes are around housing, and instances of crime and anti-social behaviour. A lack of decent, affordable homes, and rising crime rates are both issues that I regularly raise in Parliament. 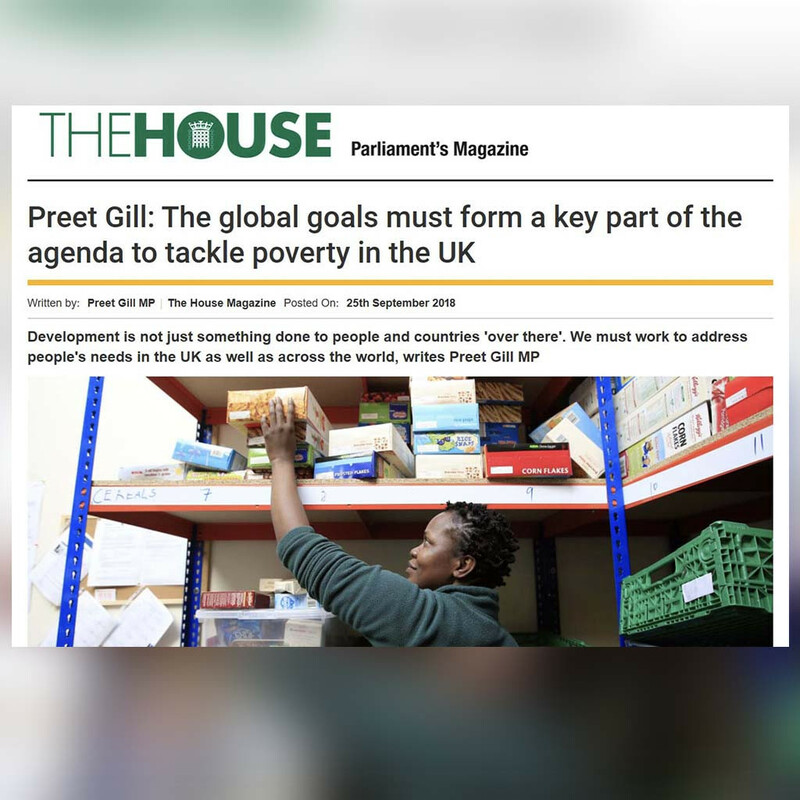 However, those who were holding out for a remedy to the worsening situation will no doubt be sorely disappointed by last month’s budget announcement. Despite the number of new social homes falling to the lowest level since the Second World War, funding for affordable housing has dropped from £4bn in 2010 to just £0.5bn today. And how is the government addressing rising crime? With cuts to police funding and not a penny more for regular policing. You can read my statement on what the budget means for Edgbaston here. You can find a small selection of what I’ve been up to last month below. As always, please get in touch if there is anything I can help with. You can find my contact details at the bottom of this newsletter. 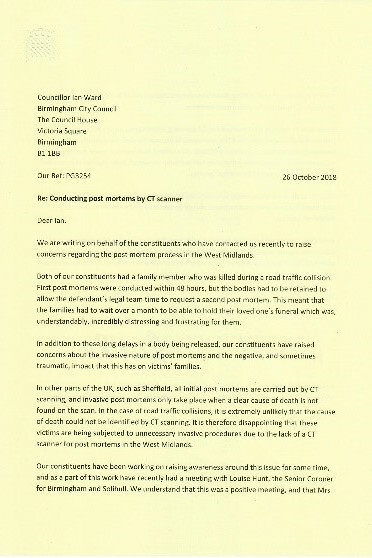 "Birmingham is the largest Local Authority in the country, and in fact, the largest in the whole of Europe, so I am not surprised that it has the highest number of people housed in temporary accommodation. temporary accommodation in England since the Conservatives came to power in 2010 - appallingly, with almost 125,000 children among them. This is part of a much wider failure of the Government to tackle housing and to build enough safe and secure homes for people. The numbers of rough sleepers has risen dramatically over recent years, and the number of households placed in temporary accommodation outside their home area has increased by 248% between 2011 and 2017. Cuts to Birmingham City Council's funding from central government is expected to reach £645m by 2020. Against the difficult backdrop of these extreme funding pressures, councils like Birmingham City Council have had to be innovative. In Birmingham City Council's case, this is by using the Birmingham Municipal Housing Trust to build more homes, delivering more than 2,000 so far. 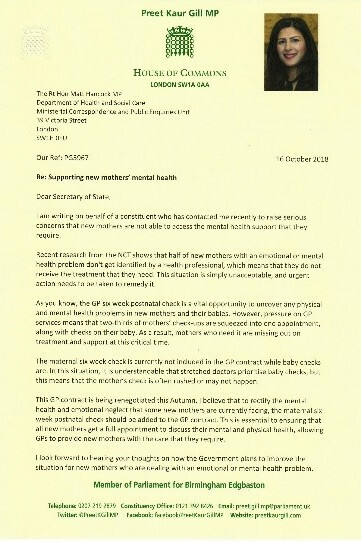 If the Council persists in regularly using B&Bs like Smithy’s and Ethan B&B, and the Norfolk Hotel, then I would want to see them provide an in-house support worker for these families who can help them with applications for housing, accessing health services, sorting out schooling, and so on." 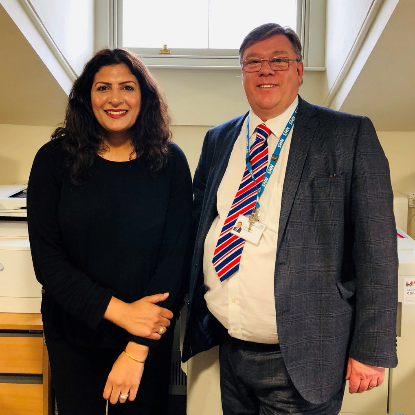 I met with Paul Jennings, the Chief Executive of the Birmingham and Solihull Clinical Commissioning Group, to raise my serious concerns around mental health provision in the constituency, and the wider Birmingham area, and discussed solutions for how it can be improved. 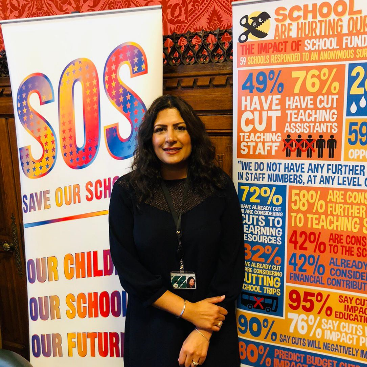 I put my support behind the Save our Schools (SOS) campaign to ensure that every child in the constituency, and right across the country, has access to the quality education that they deserve with a properly funded school system. 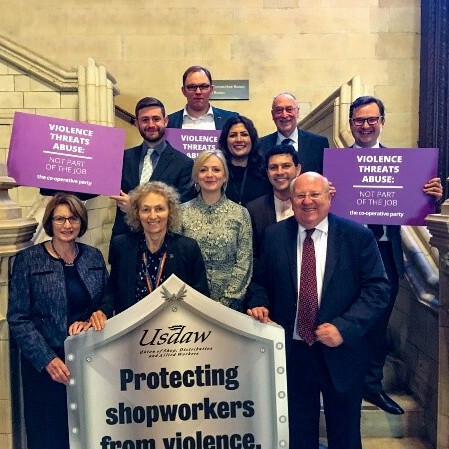 I joined forces with my Labour and Co-operative MP colleagues in backing Usdaw union's campaign to make it an offence to assault, threaten or abuse a shopworker who is preventing an illegal sale of acid or knives. Usdaw's annual members survey in 2017 showed that 66% of shopworkers have been verbally abused by customers, and 40% have been threatened with physical violence. 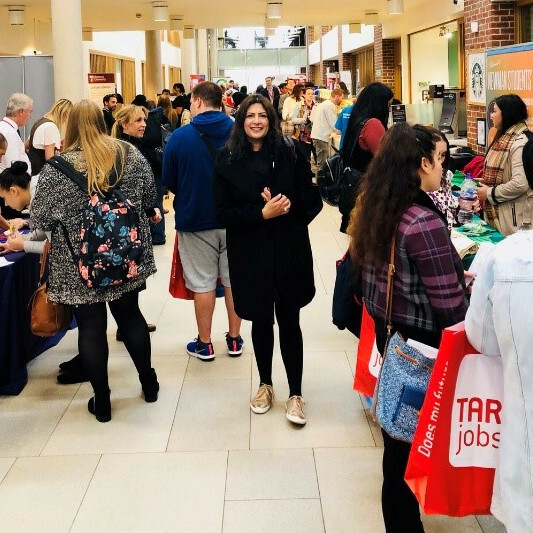 I attended Newman University's careers fair and spoke to staff, students, and stallholders about the employment opportunities for graduates in the region. 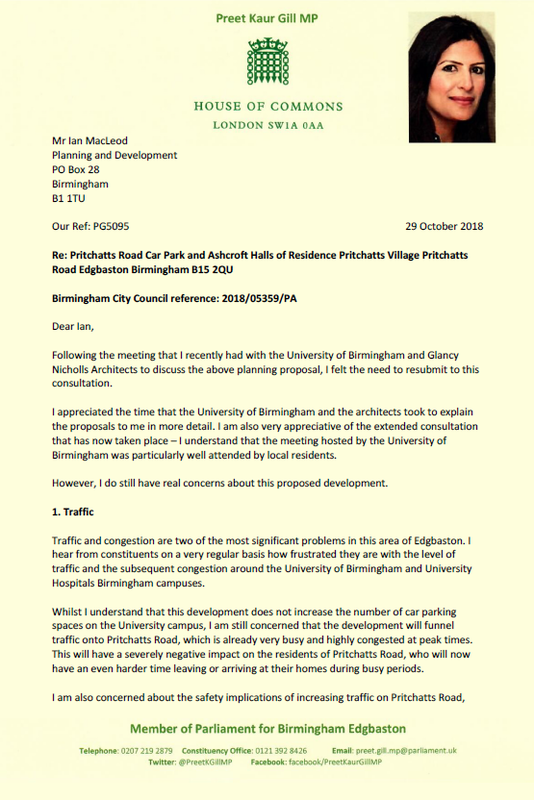 I met with the University of Birmingham’s planning team and the architects to discuss the Pritchatts Road development and share my concerns, and the concerns of constituents, around their proposed plans. It is anticipated that the development will result in an increase in traffic and noise on Pritchatts Road and the surrounding areas. 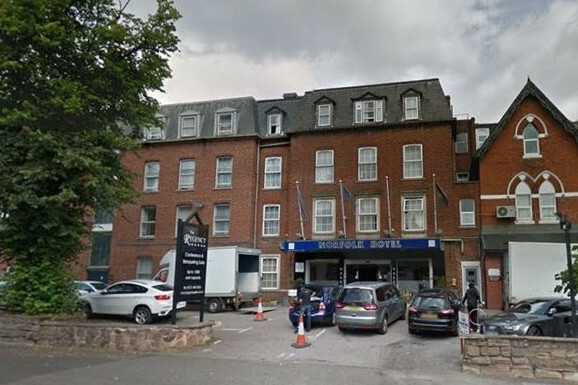 There are also concerns that the development will have a negative ecological impact, and that the look and feel of the development will not be in-keeping with the rest of Edgbaston. At the beginning of October I visited a refugee resettlement programme in the constituency to see the work that the charity Refugee Action are doing to help vulnerable persons to safely rebuild their lives here in Birmingham. It was also an opportunity for me to hear the personal experiences of Syrian refugees. 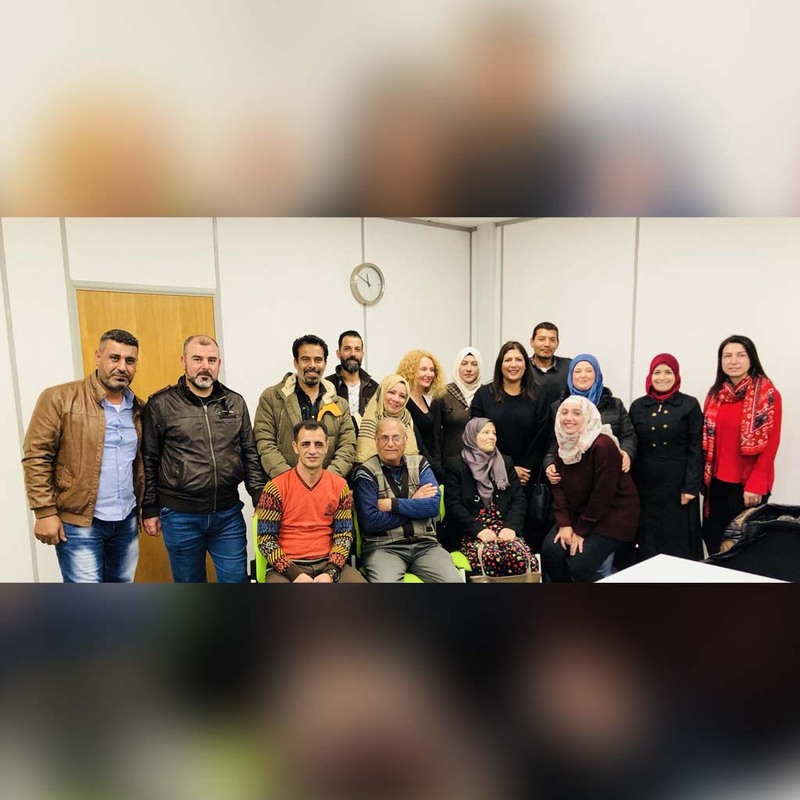 The Refugee Action team are helping the Syrian refugee families that are going to be living in Birmingham to settle into their new lives and make connections with their new community so they can rebuild their lives in safety and peace. 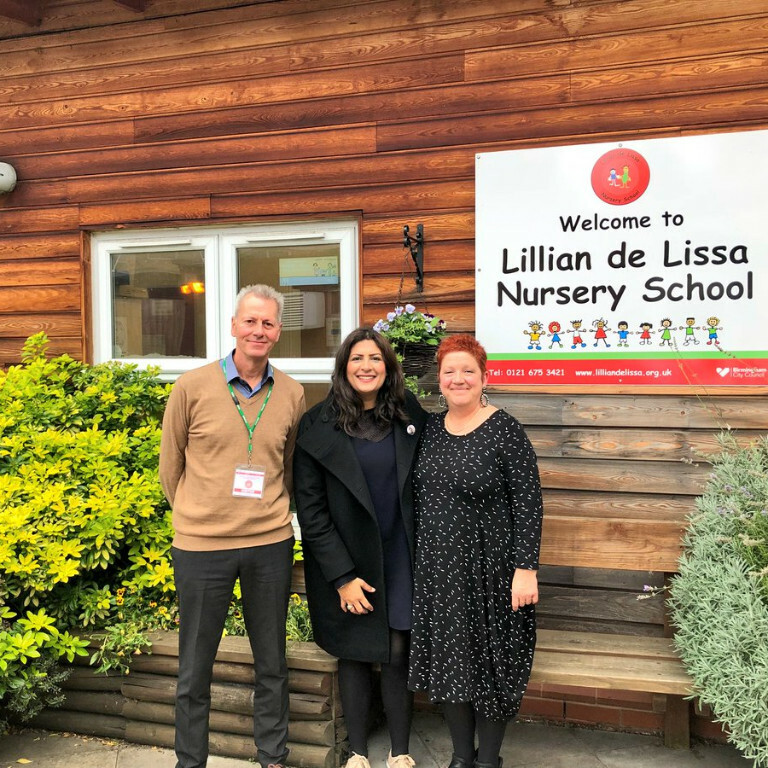 I was pleased to pay a visit to Lillian de Lissa nursery school in the constituency. 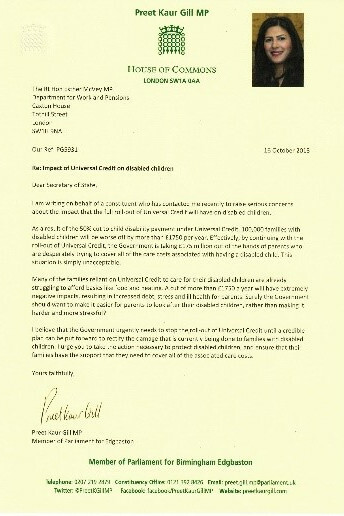 Many nurseries are operating at a deficit due to funding cuts by the Tory government to local councils. Our Birmingham City Council alone has had their funding slashed by £640m. I was invited to visit the new site of one of Birmingham’s oldest rugby clubs, Bournville RFC, who have finally got their own home after 109 years. 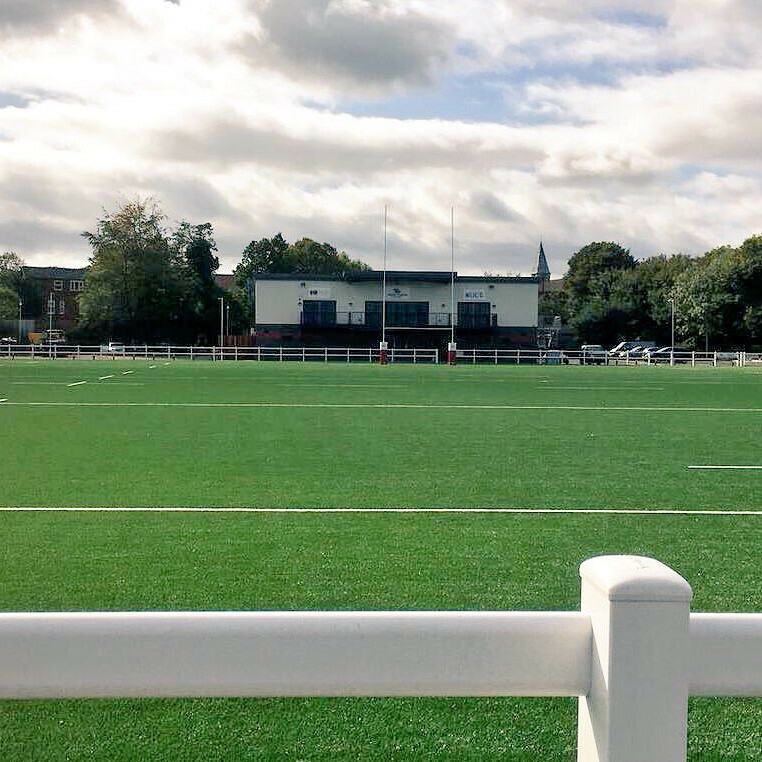 The historic club is the anchor tenant of a new purpose-built sports ground called Avery Fields Sports & Events located on the borders of Edgbaston and Bearwood. After decades of renting various facilities in Birmingham, the new development provides both grass and all-weather pitches, changing rooms, physio room and a Clubhouse with a large function suite which is also available to hire for parties, meetings and by community groups.